Perhaps the iPhone 6S and iOS 9 will help? While Apple is busy putting last-minute touches to the iPhone 6S and iOS 9 ahead of tomorrow's grand unveiling, it might want to take into account a new piece of research published by the University of Florida. Academics looked at 30 free and popular fitness apps on the iPhone and graded them against official guidelines from the American College of Sports Medicine: those guidelines cover everything from the progression of your workouts to safe warming down techniques. The study found that just one app - the snappily named Sworkit Lite Personal Workout Trainer - met more than half the criteria laid out by the ACSM, and that means the data users are getting isn't as comprehensive or as useful as they might think. 23 out of the 30 apps did not provide a training plan, explain how to choose a workout or give advice on how to organise workouts across a week, and according to the University of Florida team that's a missed opportunity. "The vast majority of apps are not as safe as they could be and do not give users the type of well-rounded workouts known to be most effective," said François Modave, the lead author of the study. The ACSM's Richard Cotton told the Washington Post that apps shouldn't necessarily aim to hit all the guidelines and could still be useful even if they focused on one area of fitness; nevertheless, he said users should be aware of the need to assess every aspect of their workouts, and use several apps in tandem if necessary. 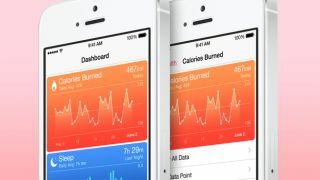 Bear that in mind when you fire up Apple Health on your new iPhone 6S.